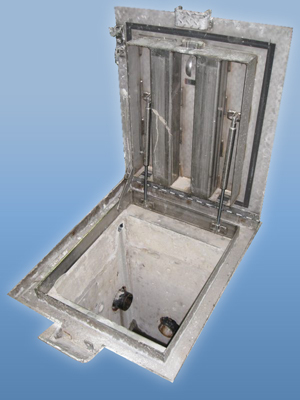 MSU M CL-800 hatches are designed to be cast into place in areas where water infiltration and drainage into the access opening is a concern. These hatches are a flush design and support high impact, occasional traffic loads which are designed for an emergency loading by a CL-800 #2 axle wheel load with an impact factor of 40%, per clause, CAN/CSA-S6-06. 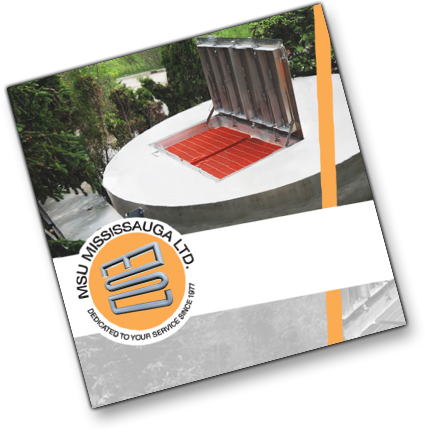 MSU M CL-800 hatches are manufactured in single, double and parallel-door units.